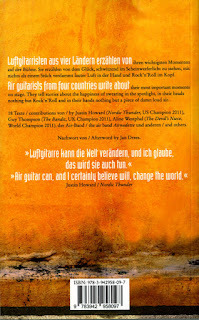 The Air Guitar World Championships is a celebration of music enjoyment, mutual understanding and world peace. Thousands of people from all over the planet gather each summer in the town of Oulu, Finland for this event that bridges language barriers, religious beliefs and political leanings to find out which international representative best embodies the philosophy that by holding an air guitar one cannot commit atrocities with a firearm. Though superficially confusing and at times downright inane, none who participate in this annual quest for global harmony can deny its earnest desire to bring about the best in others through rhythmic and physical expressions. 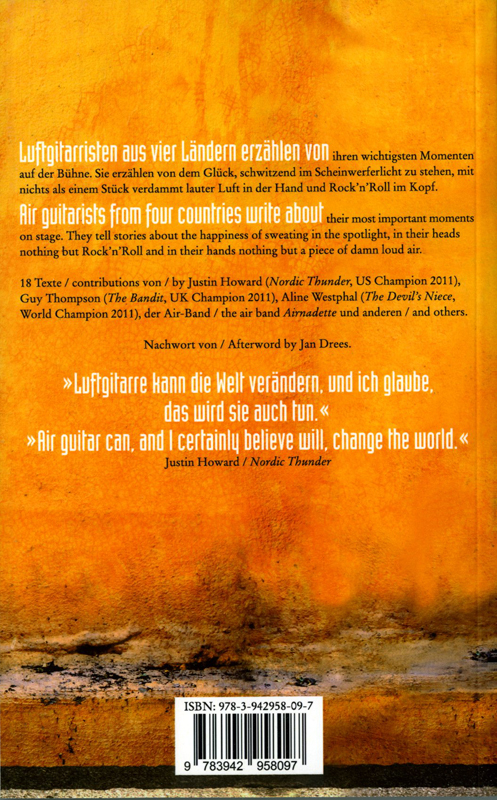 One such competitor, Germany's own Geeky Gisbert (aka J. Fischer), conceived the notion that not only could air guitarists convey their individual messages on stage but also via stories collected then printed for all audiences to peruse at leisure. 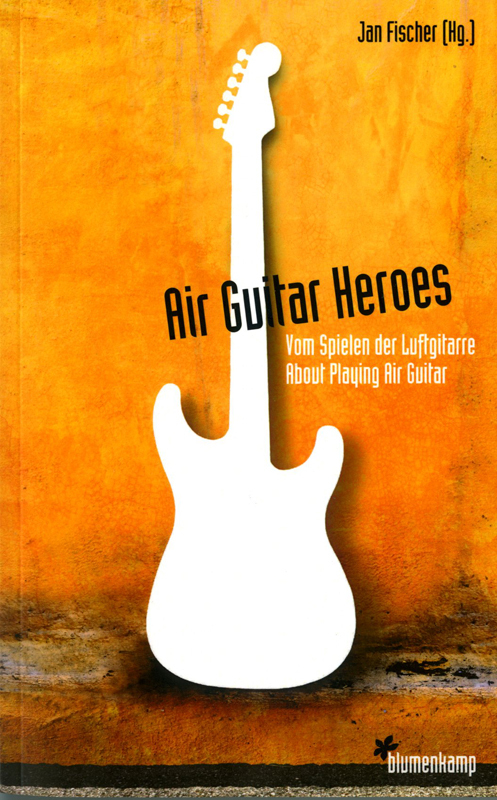 With the United States of America's fourth world champion in ten years, Nordic Thunder of Chicago, as one of his main liaisons, Gilbert was able to compile and edit an impressive number of backgrounds on air guitarists the world over for this first edition of "Air Guitar Heroes - Vom Spielen der Luftgitarre (About Playing Air Guitar)" published by blumenkamp in August of 2012. 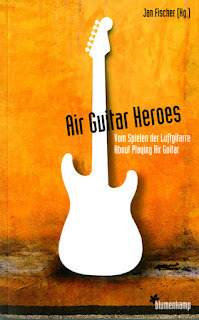 Comprised mostly of entrants from Western countries such as Great Britain, the United States, Germany and France, this fascinating look into the diversely personal histories of Earth's most outstanding air guitarists offers a tantalizing glimpse into defining moments of their lives sixty seconds at a time. One notable trait that all these writers shared was a love and respect of live music performances with a clear goal of conflict-free unification. Despite being surrounded by anonymous detractors who unceasingly decry this pursuit as nothing more than vapid and masturbatory adolescent antics, the invisible bonds among air guitarists which come about from determination, dedication and discipline are undeniably real. The experiences that one can treasure for a lifetime are best measured by doing what one truly believes is the right thing to do then finding out that it was the correct course of action after all.